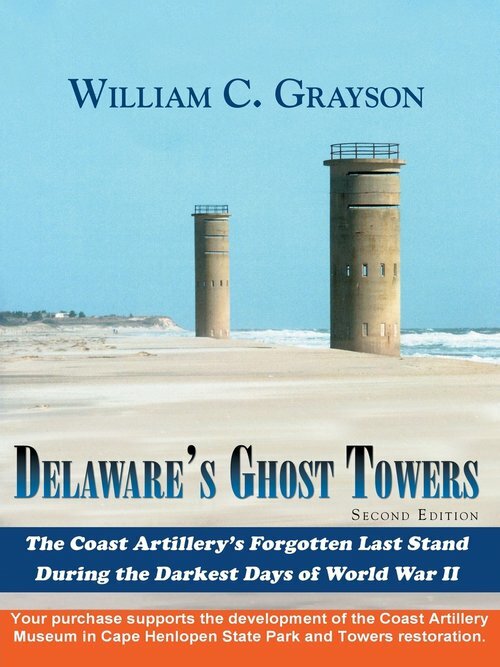 Meet William Grayson ,author of Beefstew Saves Lives on D-Day, at Bethany Beach books on August 28th from 4:00pm-8:00pm! 100% of the book's proceeds are being donated to the Wounded Warrior Project! Although earlier amphibious landings on enemy-defended beaches in Europe, Africa, and Pacific islands resulted in high causality rates, costly lessons were not learned and in some cases ignored by the Allies. During the final World War II landings at Normandy, German defenders manning Rommel's "Atlantic Wall" were allowed enough time after the naval shelling had stopped to get to their battle stations and kill 4414 men on the beaches. 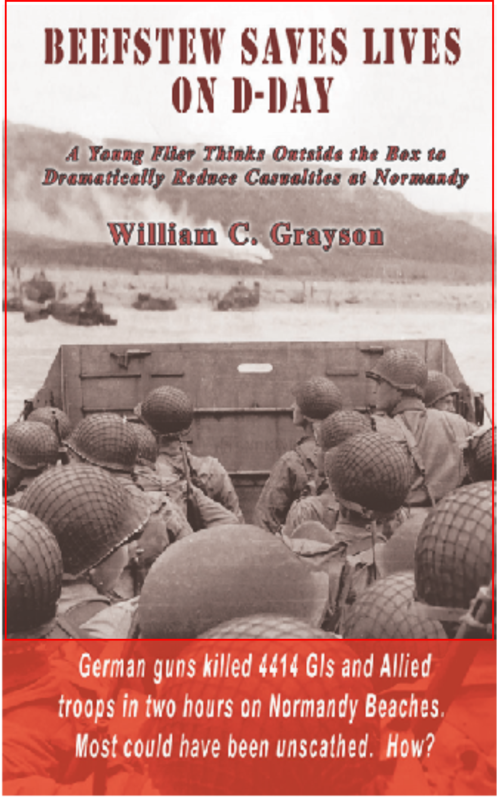 Bill Grayson applies his experience with tactical air forces and his military intelligence vision to rethink 1944 Operation OVERLOAD planning to understand how a great many Allied lives could have been saved. "Bill Grayson is formally trained as a USAF Intelligence Officer. He served as Commander and as Operations Officer of Air Force Signals Intelligence, Counterintelligence, and Operational Security units throughout Europe and Vietnam and served three tours at the National Security Agency as a Cryptologic Staff Officer and as the Chief of Transmission Security, overseeing all DoD joint service programs. Following his USAF service, Bill joined the US Dept. of Commerce as a Telecommunications Specialist/Team Chief securing the computers and communications of whole federal agencies across the US and Latin America. He specialized in drug enforcement and maritime security. Next Bill was a Senior Security Consultant with leading aerospace defense and Federally- Funded R&D Contractors in Washington. In that capacity, he was an Information Systems Security Architect of networked computers at NASA, Defense, Treasury, Justice, and Transportation Depts. and performed special activities for the White House, Air Force 1, the JCS, NATO, and the Nuclear Regulatory Commission. In support of Homeland Security, Bill supported Coast Guard Port Security studies on all three coasts and contributed to a White House plan for distributing intelligence among federal, state,local, and tribal jurisdictions. He is also an appointed member of his hometown’s Public Safety Committee and a contributor to Maryland’s School Emergency Planning Guidelines. Bill holds BA and MS degrees and is a student of six foreign languages. He is a Certified Computer Security Professional, an Operational Security Certified Professional, and NSA COMSEC professional. He is a member of the AF Association, VFW, American Legion, Freedom Through Vigilance Assn, Military Officers Assn, NSA Phoenix Society, RAF Chicksands Alumni, and the Tan Son Nhut (Vietnam) Assn. He lives and works in the Maryland suburbs of Washington."